Personal Training at Avanti is not like your basic health club training. We use personal training as a bridge between your formal rehabilitation period and your return to full function. It is a continuation of the healing process. We will help you work towards your goals without re-injuring healing structures. 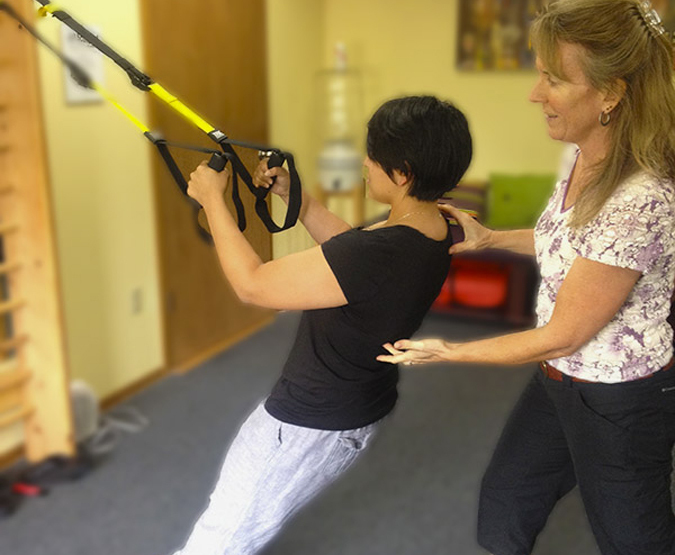 Whether it is a musculoskeletal problem that you are recovering from, or something more ongoing, like Parkinson’s Disease, cancer, or stroke, we can help you to continue along your path to full recovery in a manner that is safe, effective and fun. Schedule now for an effective recovery process.